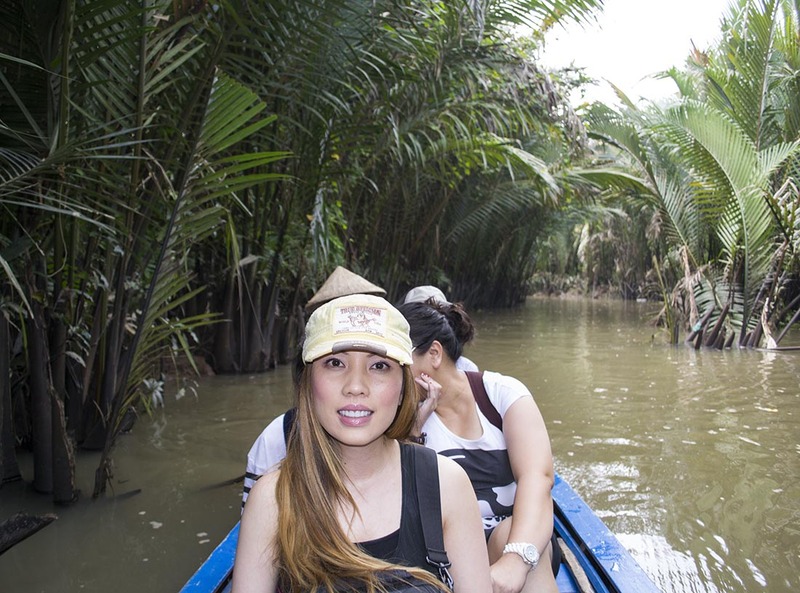 There is so much to do and see in a vibrant city like Saigon. It can be overwhelming at times, especially if you only have a few days to spend in the city, so here are some suggestions on things to do and places to go. 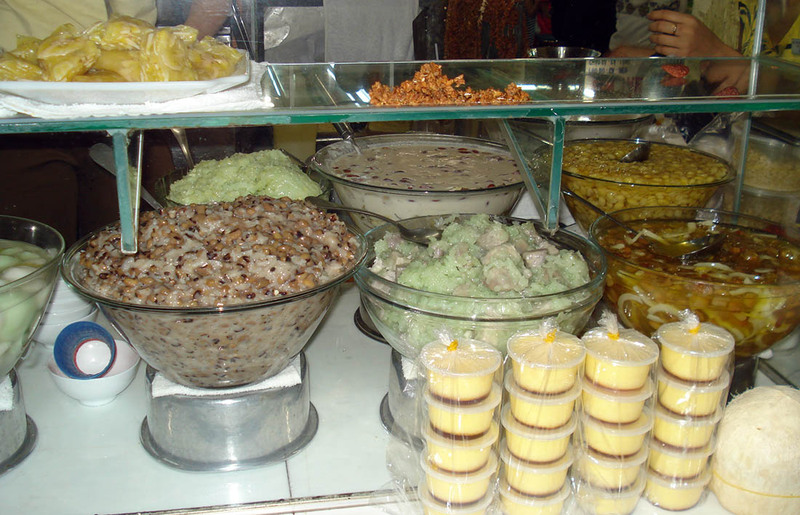 1) Go to Chợ Bến Thành: The main market in Saigon where you could get everything from clothes, jewelry, fruits, vegetables, dried foods, spices, ready to eat meals, and my absolute favorite – chè (a sweet Vietnamese dessert or pudding). There’s a particular stand that sells several types of chè and you definitely need to go there. Although the portions are small, which just means you get to try as many different types as you want, it is authentic and approved by the locals. 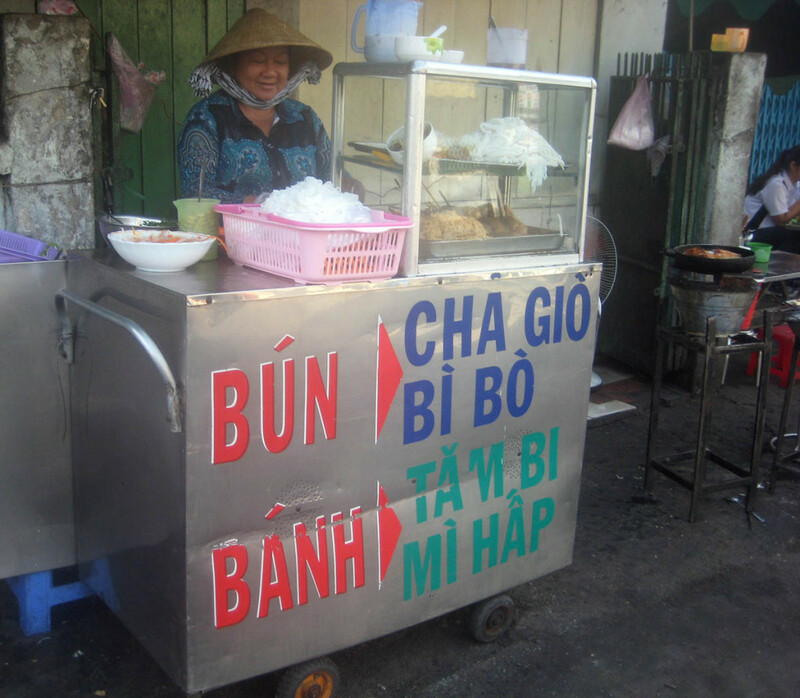 There are several food stands that offer a wide selection of Vietnamese cuisine, from more popular dishes such as pho and bun to “less Westernized” dishes such as banh bot loc (a dumpling wrapped in banana leaf) – there is something for every palette. Our last morning in Saigon Mike and I went with the three musketeers and had breakfast at one of the food stands. It was great way to say goodbye to Saigon – amazing food and even better company! 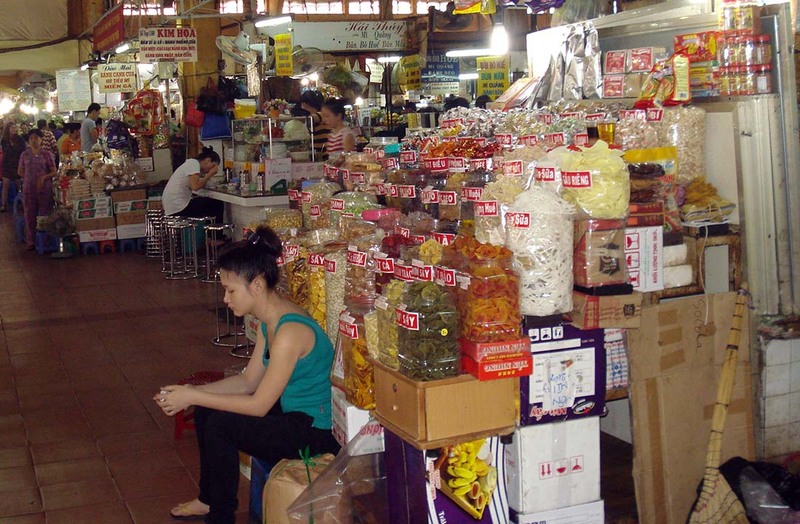 Chợ Bến Thành is also a great place to pick up souvenirs, clothes, or knock-offs. Remember to haggle with the vendors, but not if it is first thing in the morning. Vietnamese people are extremely superstitious and they believe that the first sale of the day sets the tone for the rest of the day. 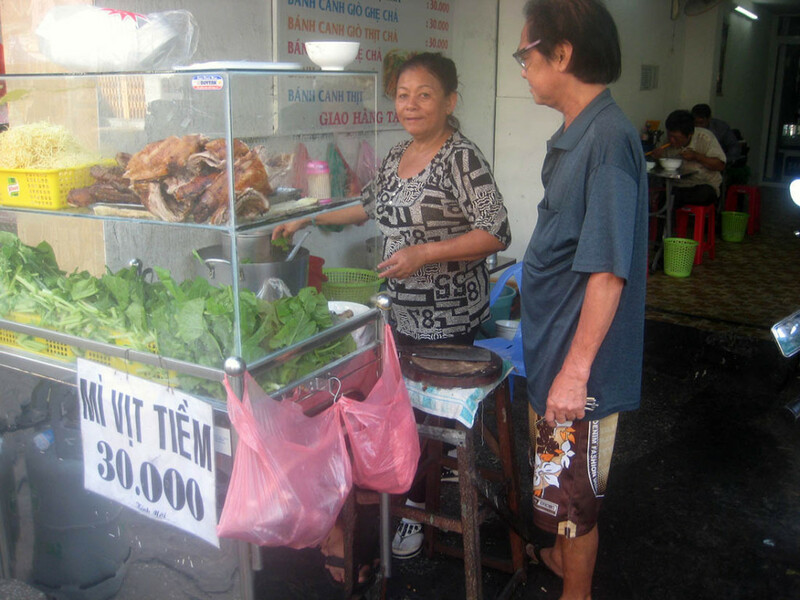 If you haggle with the vendor first thing in the morning chances are you will get yelled at. 2) Visit the Reunification Palace: The Palace was the headquarters for the American and South Vietnamese troops during the Vietnam War. 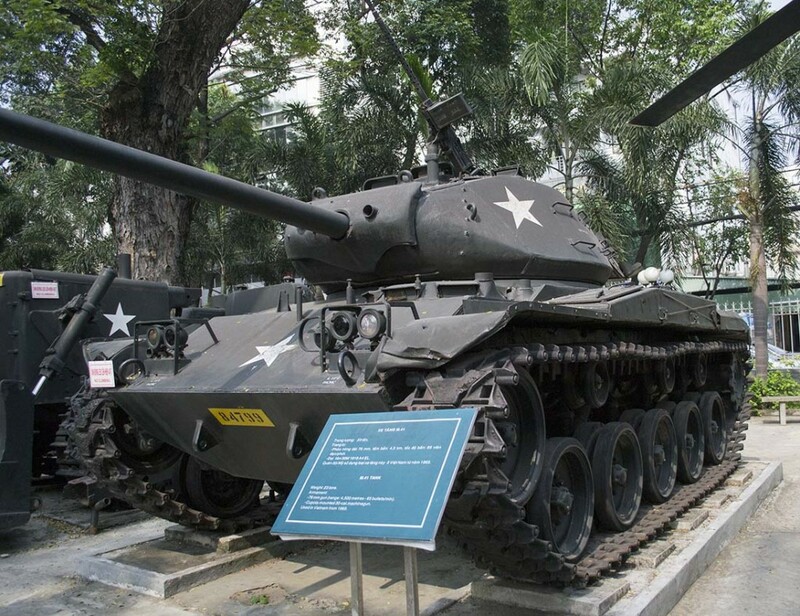 It also symbolized the “Fall of Saigon” when the Viet Cong bulldozed through the Palace’s main gate on April 30, 1975 to capture the capital and end the war. While touring the palace you can see the command centre, along with communications equipment and maps used during the war. 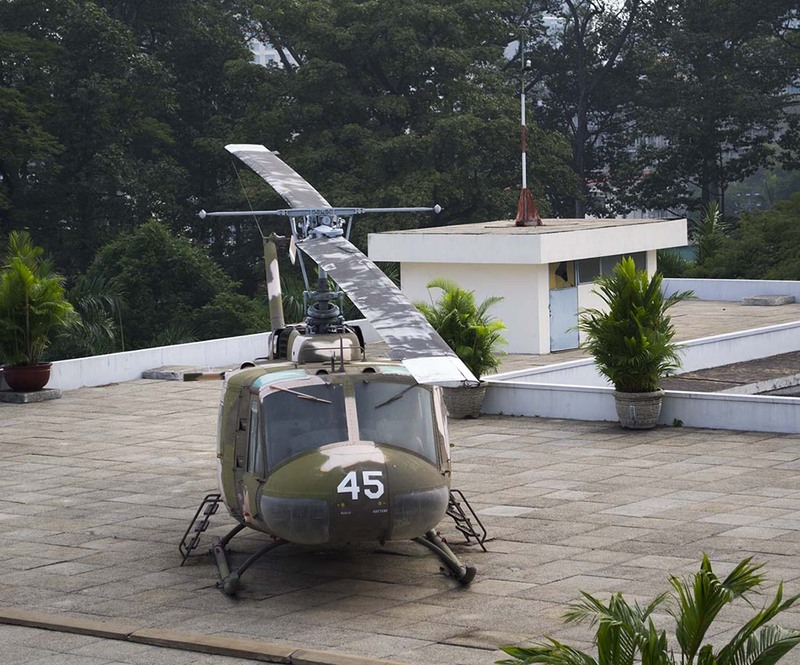 The most interesting thing was the bullet holes and helicopter on the rooftop, which is meant to illustrate Americans being airlifted from the Palace before the Fall. 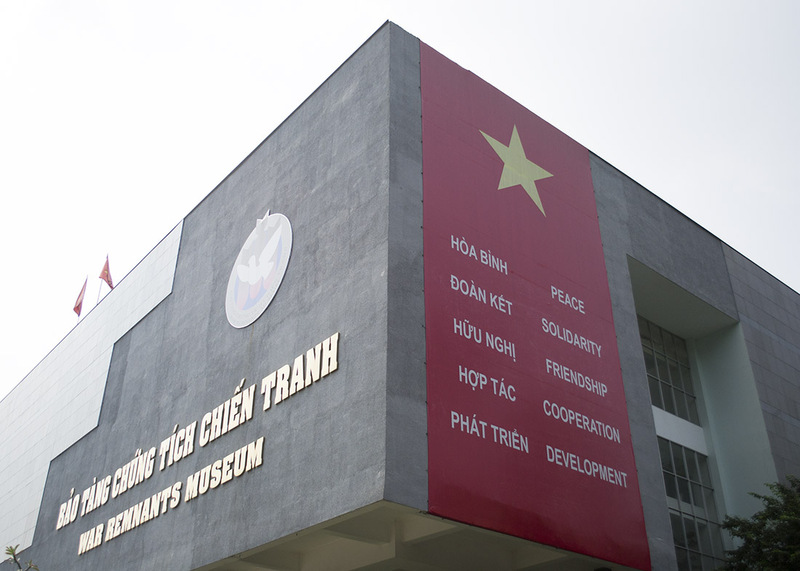 3) Visit the War Remnants Museum: This museum tells a different, not-often-heard side of the Vietnam War. Although disturbing, it is definitely a must see. Be aware though, there are gruesome images of war victims that will evoke some strong emotions. Most of us have seen the famous picture of the Napalm Girl taken by Huynh Cong Ut, which shows you a bit of the horror of what those children faced that day. What we don’t see are the ever-lasting effects of the Agent Orange liberally used during the Vietnam War. 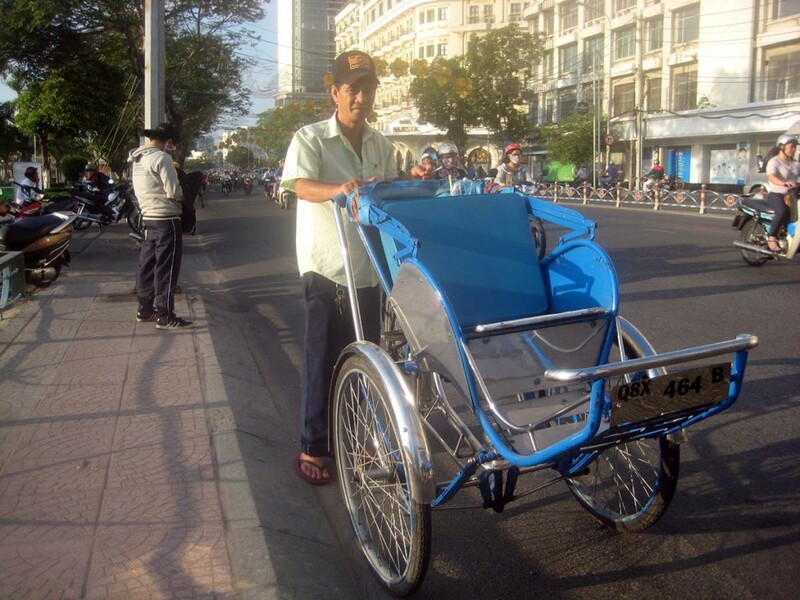 4) Go for a Xich Lo Ride: During my first visit to Saigon (23 years ago), the Xich Lo was my main form of transportation. 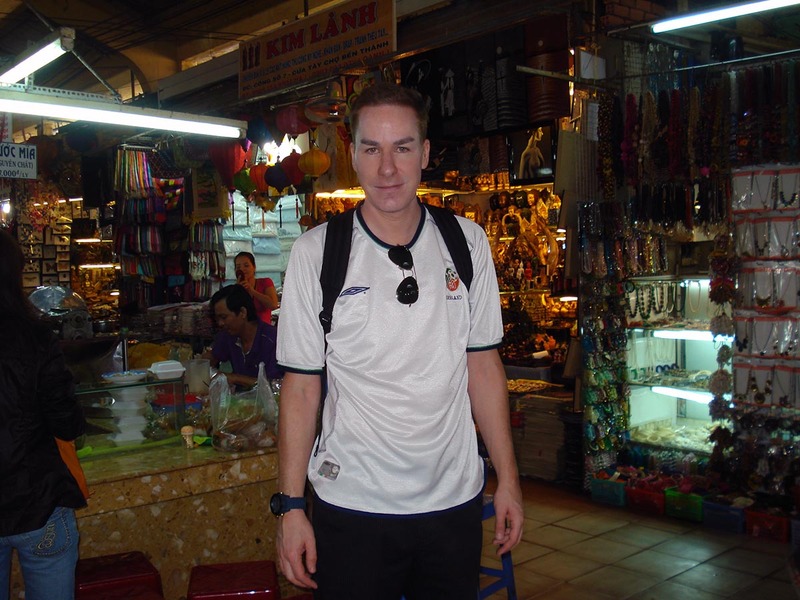 My first tour of Saigon was by way of Xich Lo and I have to say, it was the best way to see the city. It made me feel like a local and allowed me to see things from a different perspective. 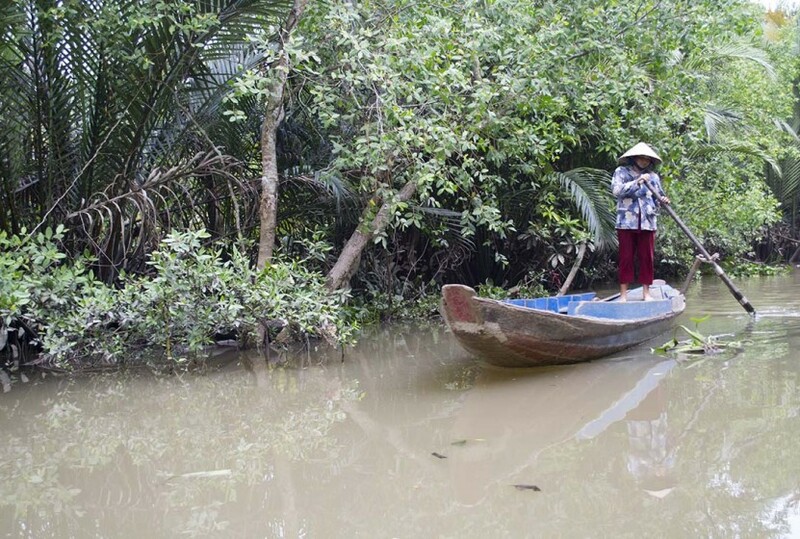 Xich Los were once the main form of transportation in Vietnam, but with development and modernization Xich Los are now a thing of the past and have been traded in for faster forms of transportation that allow people to travel greater distances. 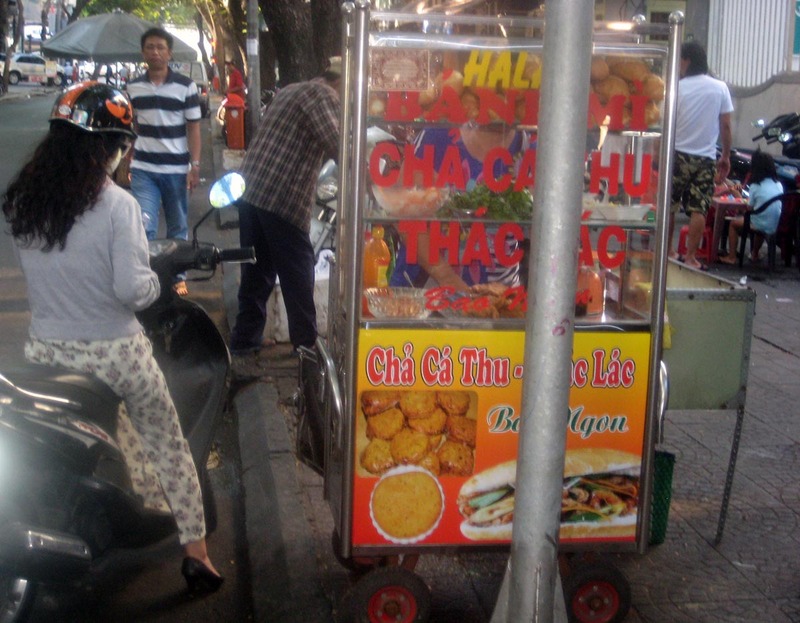 You can still find Xich Los in Saigon, but rather than being used by Vietnamese people to get around and transport goods their purpose is to give tourists a unique Vietnamese experience. 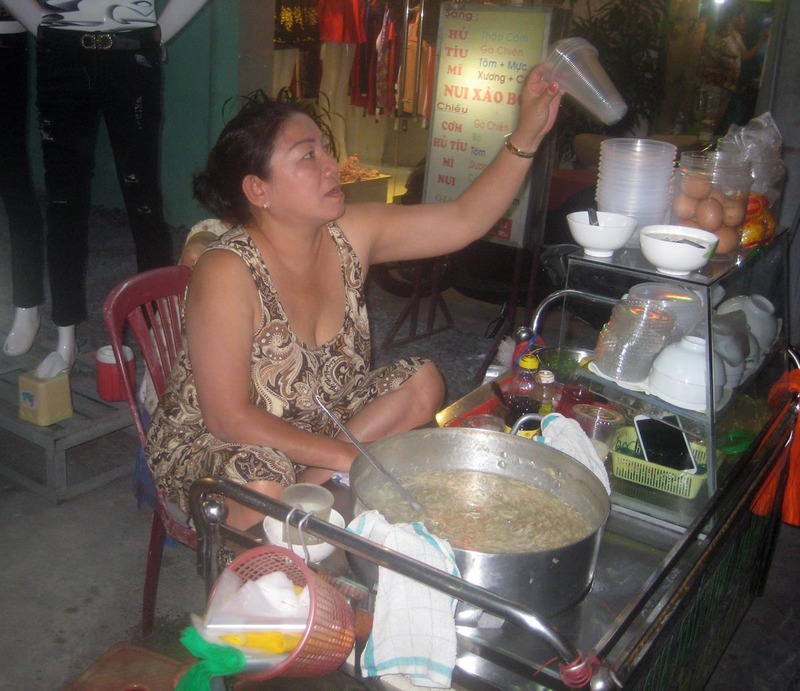 If you decide to tour Saigon on a Xich Lo make sure to negotiate and agree upon a price before hand. 5) Get Massages or your hair shampooed: I don’t know about you, but I love going for a massage. The idea of going for a massage instantly relaxes me. The great thing about getting one in Saigon is you only pay a fraction of the price. My cousin and I went to get our hair shampooed at the Hoang Oanh Salon and it was amazing! They massage your scalp and face (if you want) for about 45 minutes. They do this while you are laying down, so once they are done shampooing your hair you flip over and get a back rub as well. After that, they blow out your hair so you are ready for a night out on the town. The greatest thing about the shampoo and scalp massage is it cost me less than a cup of Starbucks coffee!!! 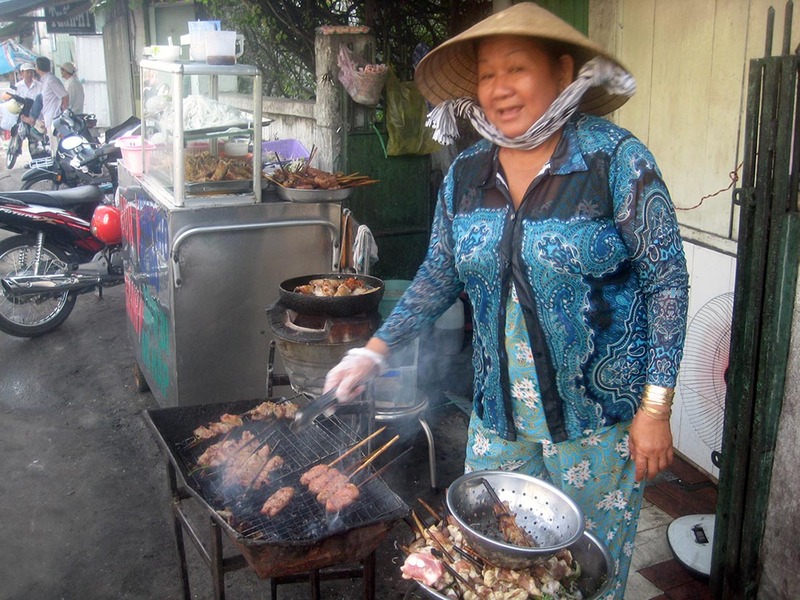 6) Try Authentic Vietnamese Cuisine: Every square inch of real estate in Saigon is used for some sort of business, most of which consists of food stalls. Don’t be afraid to pull up a chair and try some authentic Vietnamese food. In Saigon, unlike some other places in North Vietnam, you really don’t have to be afraid of being served a portion of man’s best friend (yes – I know a bit of a culture shock to even have to think about that). 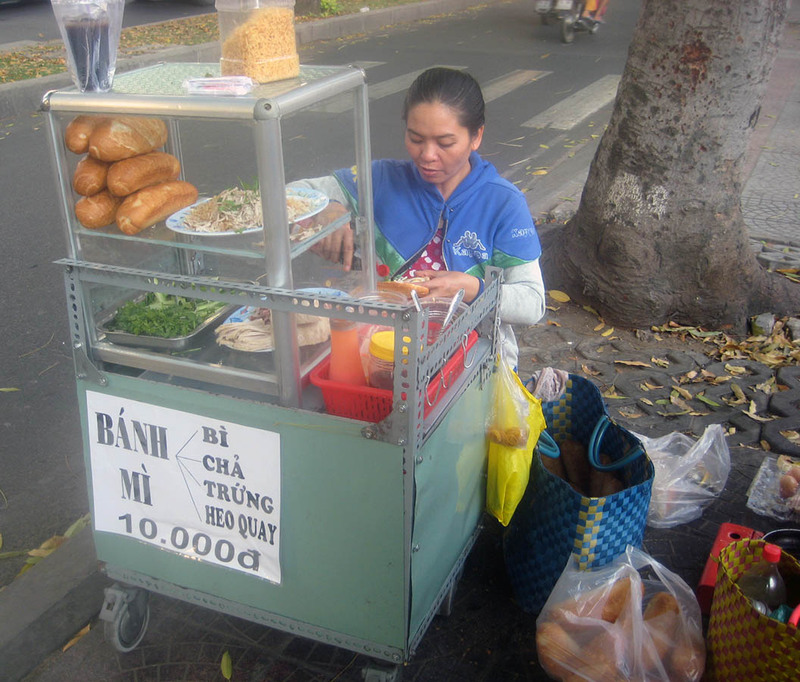 Most people have probably tried a Vietnamese banh mi sandwich (a chicken, pork, or beef sandwich served on a baguette with pickled carrots, cilantro, pate, a special mayonnaise, and hot peppers), but there really is no banh mi like the ones you get in Saigon. Mike and I ate so many chicken banh mi sandwiches that I thought we had our fix, but when we went to Nha Trang and Hanoi we found ourselves seeking them out, so make sure to eat up in Saigon! Try the fresh fruit such as logan, lychee, rambutan, and mango. You really haven’t tried a mango until you’ve tried one in Vietnam, which are so juicy and flavorful – makes my mouth water just thinking of them. If you are brave enough, try durian. Durian comes in a porcupine like husk that has to be cracked open in order to get to the soft buttery fruit. I love durian and can eat it by the bucket loads, but I have to admit it is an acquired taste and most people can’t get past the pungent, gas like smell. Mike thinks it smells like raw sewage and won’t go near it, but that’s okay because it just means more for me! 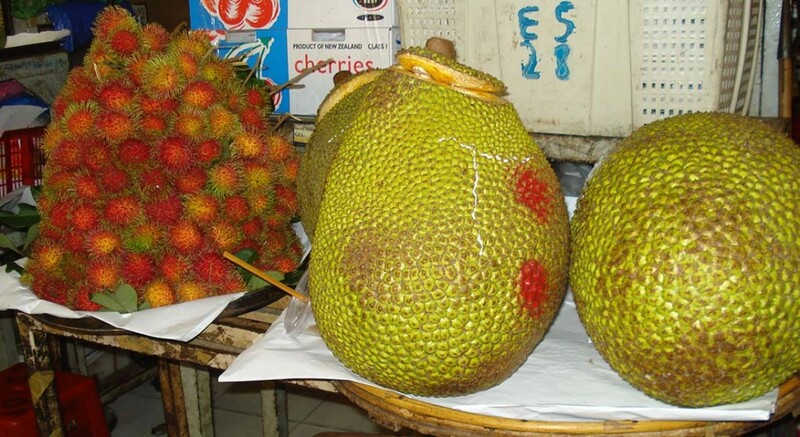 One time while my cousin and I were buying durian on the streets of Saigon, two British tourists asked us what we were buying and I told them it was durian. They were both willing to smell it, but only one was brave enough to try it. Not surprisingly, they quickly walked away after that. I know I’m not doing a good job of persuading you to try durian, but it is everywhere on the streets of Saigon so you should be aware. 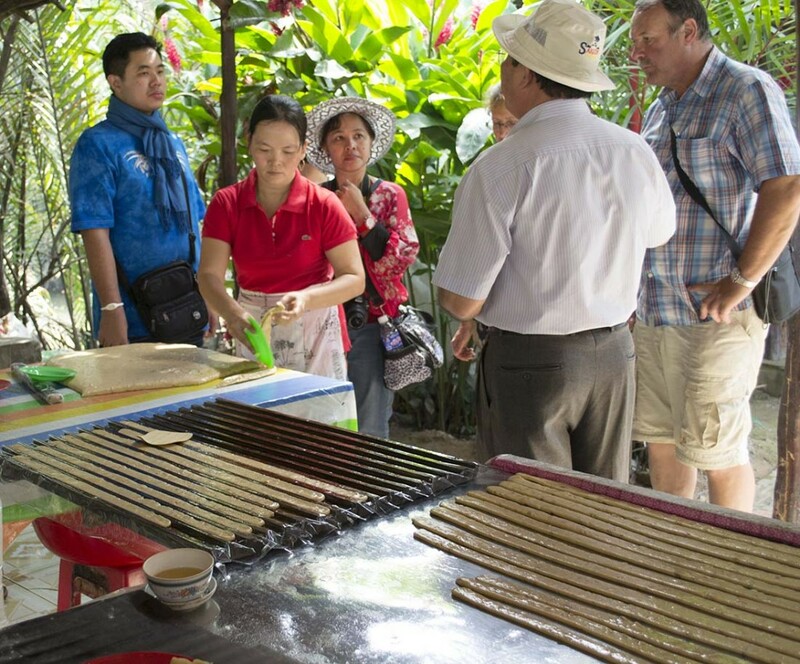 If you want to learn how to make Vietnamese food, go to a cooking class. 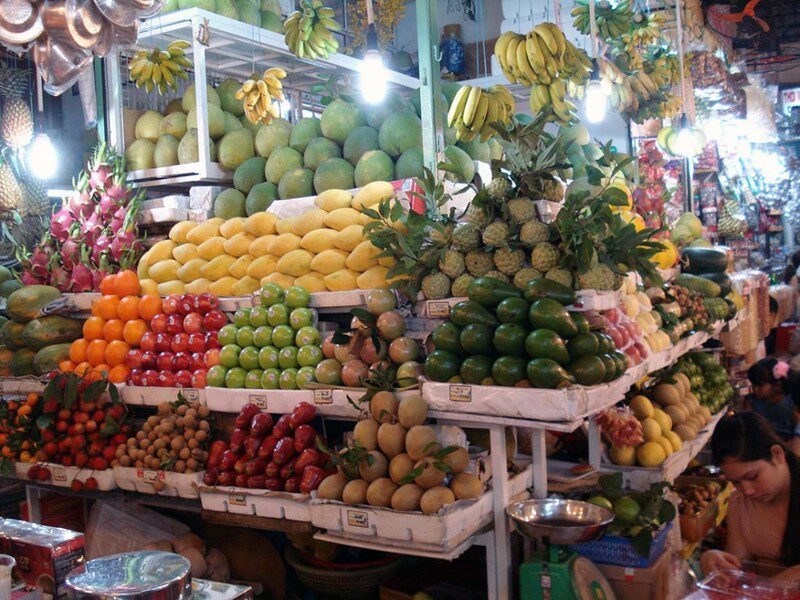 There are several places that offer classes and includes going to Chợ Bến Thành to pick up groceries. 7) Get custom made clothes and shoes: labour is extremely cheap in Saigon and there are many talented seamstresses. If you are looking for a new wardrobe, why not get things tailor made? Mike got three suits made in four days at a cost of $650 Cdn, which is $216 for each suit! There’s no way he would be able to buy a nice suit for that price in Canada. 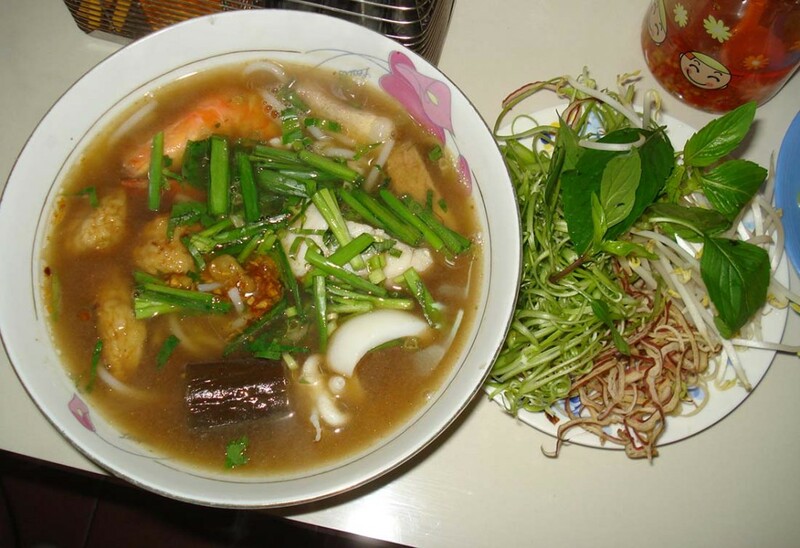 This was considered expensive because it was during Tết (Vietnamese New Year) and we also put a rush on the order. If you have a favorite clothing item, pack it with you so you could get it made exactly as is. That’s what I did! I brought my favorite black trousers and was able to get them made in three different colors at only $30 a pair (this included the Tết and rush factor). The workmanship is impeccable and I didn’t even have to go in for a fitting. This is the same for shoes. There are cobblers everywhere, so if you need a new pair of shoes go in and get your foot sized. It’s that simple! My uncle is actually a cobbler and Mike was able to score two beautiful pairs of shoes that he wears all the time. 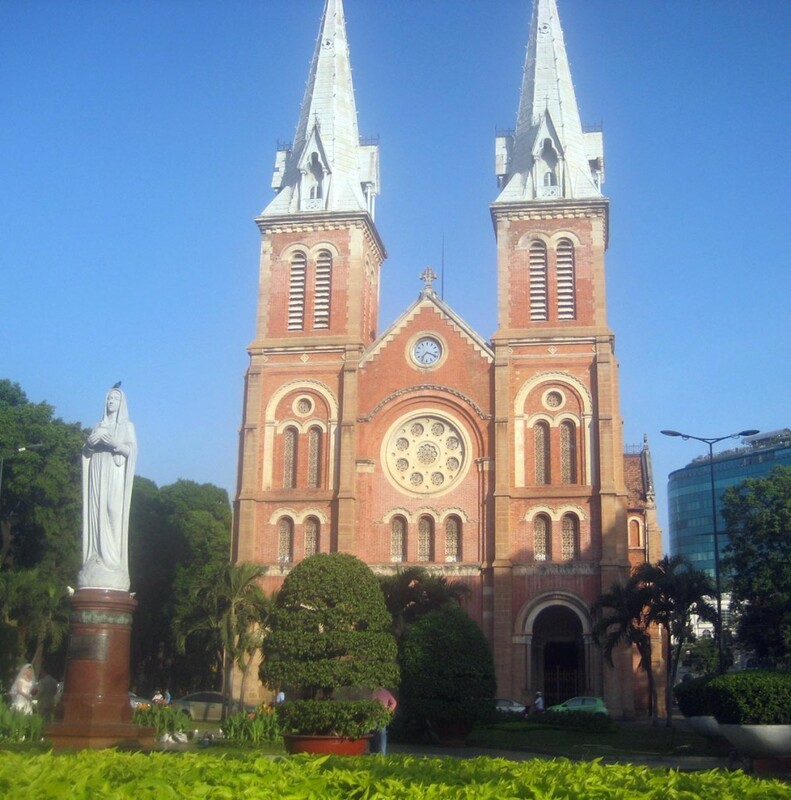 8) Visit the Saigon Notre-Dame Basilica (Nhà thờ Đức Bà): the Cathedral is a landmark of Saigon and is symbolic of Catholicism in Vietnam. Built while Vietnam was a French protectorate, it has a lot of history and you can go attend Sunday Mass or just people watch. 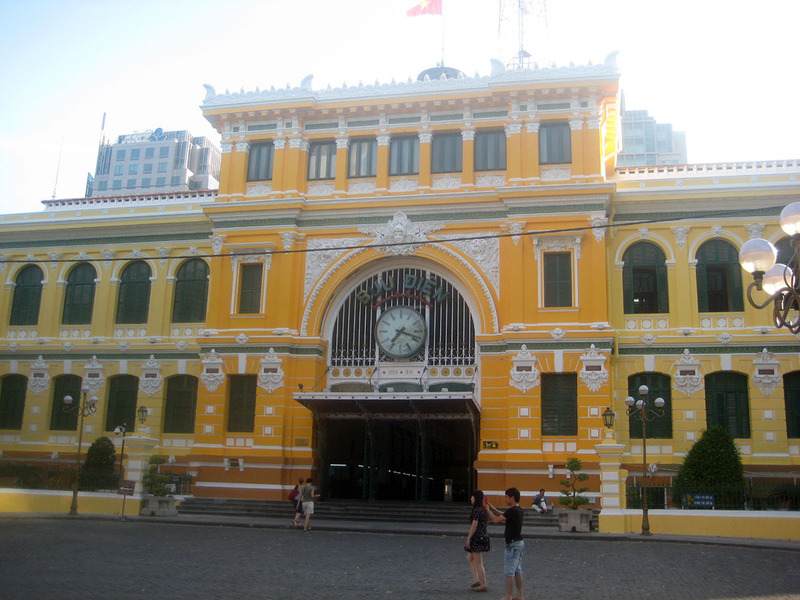 Across the street from the Basilica is the Central Post Office, which is one of the oldest buildings in Saigon and built during the late 1880s by the French. You can go visit the souvenir shop or mail a letter since it is still a functioning post office. 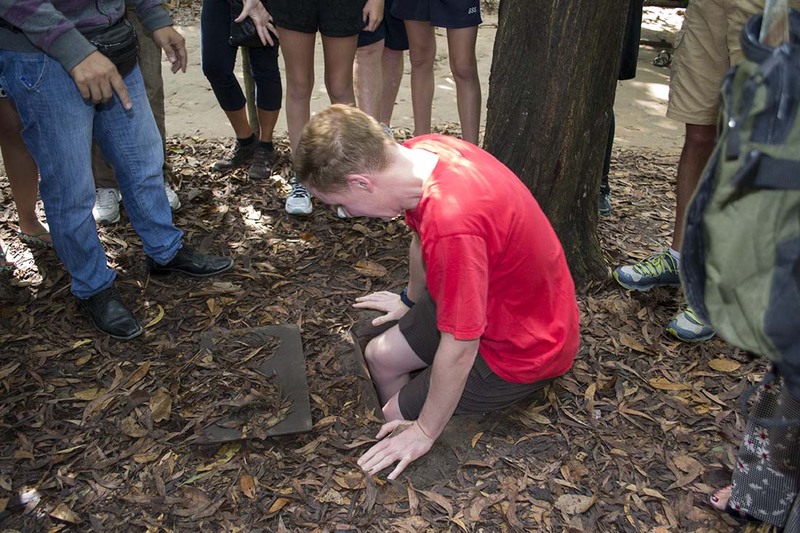 9) Go to the Củ Chi Tunnels: Củ Chi, which is approximately 30 km from Saigon or 1.5 hours on the bus, has an elaborate tunnel system used by the Viet Cong during the Vietnam War. 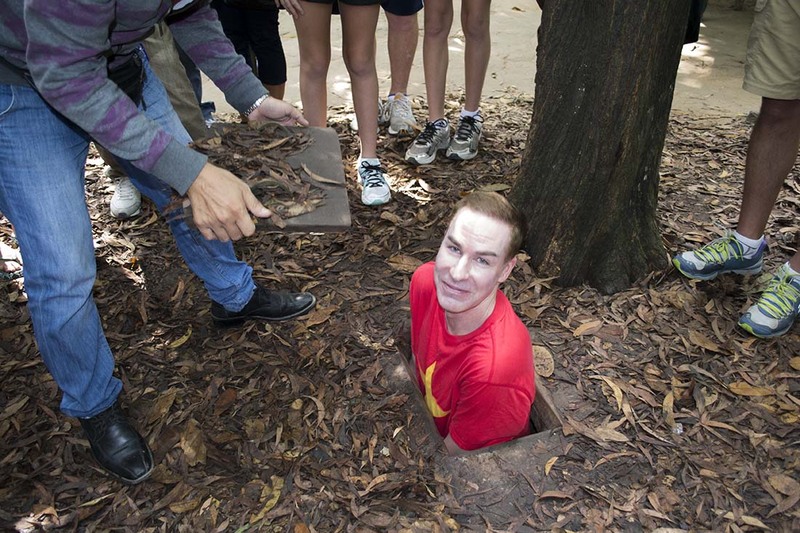 The tunnels were instrumental to the Viet Cong’s fight against American troops. They were used as living quarters for the Viet Cong and were an essential supply route, allowing the easy transportation of food and weapons. Looking at the intricate tunnel system, which had many levels and included hospital rooms and kitchens, and the conditions that the Viet Cong had to endure you can’t help but respect their resilience and determination. Although I agree with Mike that the tunnels were built for small Vietnamese people and not Westerners, I am a small Vietnamese person and there is absolutely no way I could endure that kind of life for even one day, much less for months or years on end. 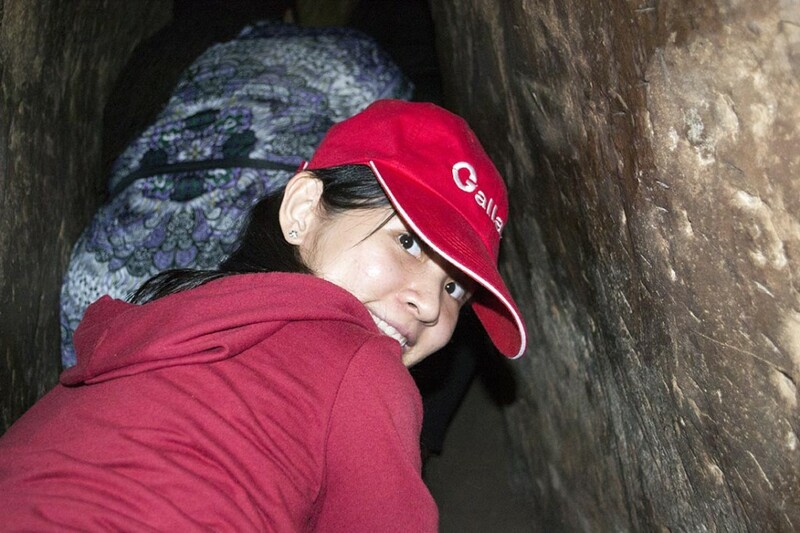 My cousin trying to make her way through the tunnels. Learning how to make candy at the Coconut Factory. What are some of your adventures in Saigon? Were you brave enough to try durian?